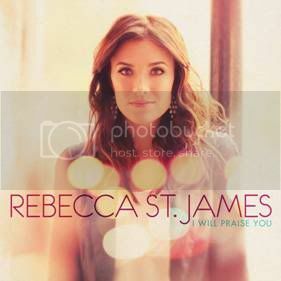 Rebecca St. James newest CD "I Will Praise You" was released today. I have been a fan of her music for a while now, so I was happy to participate in this review. But especially happy to be able to share a copy with one of you! My favorite song is one I already knew: You Never Let Go. Maybe because I can sing the words with her. The CD just arrived in the mail today, and we have already listened to it 3 times. I'll likely be singing along with many others soon. Like "Almighty God is our fortress. He is with us. God is with us." Love it! 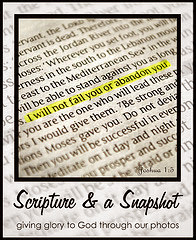 "Rebecca St. James charts yet another new course with I Will Praise You, a new collection of worship songs she terms “ her most personal recording to date.” From the opening notes of track one, listeners are offered a welcoming connection with Rebecca’s recognizably authentic vocal warmth and delivery. More than anything, I Will Praise You represents the latest steps in Rebecca’s life long journey towards thepresence of God." See a glimpse for yourself at her website, on Facebook, Amazon, or YouTube. I'm going to make this a simple giveaway. Though I would be delighted if you to follow my blog, that isn't even mandatory. All you have to do is leave a comment here. I'll choose one winner randomly in one week. Be sure if your e-mail isn't linked to your comment that you include it. Come back next Tuesday night (4/12/11) to see who won. I was given a copy of this CD for the purpose of this review. I am a new follower from UBP and have enjoyed reading your blog so far. I would love to win the cd. I like her music~I will have to go check out her new album, I didn't know she had one coming out. HI! I love to enter giveaways! Following you back from the homeschool hop! "You Never Let Go" is one of my all-time favorites. I've listened to the new album online a few times through and I'd love to have a copy of the CD. I'd love to win a copy of this cd! I love Rebecca St James and Contemp Christian music. Couldn't survive a day without my music!!! This is a great CD. I'd love to win so I can give it away as a gift. Thank you for offering this giveaway! Music is my favorite form of worship, and I have been listening to the preview of this CD online. music is so uplifting. thanks for sharing! Yep, I would love to win this CD. Rebecca is one who we enjoy listening to, especially my daughter! I can't wait to hear her new album. Pick me, pick me, pick me. Please enter me into your giveaway. We love Rebecca.